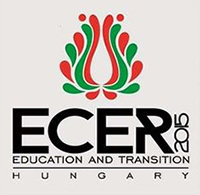 The conference theme at ECER 2015 in Budapest was "Education and transition. Contributions from educational research". InFo-TED contributed at the symposium "The role of research in the work of teacher educators", where Marilyn Cochran-Smith acted as the discussant. Abstracts and presentations are available below. Cochran-Smith (2005) claims that research is part of the teacher educator’s job responsibility, yet it should not devalue the teaching part, but research and teaching should complement each other. Many teacher educators come into the profession from school teaching with little research knowledge and this has become a challenge when success and promotion in higher education to a large extend depends on research based publications. Yet another challenge is that teacher education is blamed for not having its own knowledge base and that it depends heavily on other fields, mainly philosophy, psychology and social sciences (Shulman, 1986). If teacher education is to claim its own academic domain, it means that an extensive research based knowledge on teacher education needs to be developed. Practice oriented research, such as action research and self-studies, is on the increase internationally, yet there is also criticism of this research, mainly related to the quality and the limited relevance, often only at a local level (Zeichner, 2007). In Norway the above challenges have been taken seriously by researchers and by the government, and in 2010 NAFOL, the National Research School for Teacher Education, was established. 23 of Norway’s teacher education institutions are partners in NAFOL, and in 2015, 145 teacher educators have been (graduated) or are current PhD students in NAFOL, all developing new knowledge in, about and with teacher education. In this paper the history of NAFOL, its organizational structure, academic content and present outcome will be presented. NAFOL is an example of how demanding challenges of teacher education and cooperation between the government and researchers have led to empowering researching teacher educators and to develop a national knowledgebase in teacher education with international relevance. Cochran-Smith, M. (2005). Teacher Educators as researchers- Multiple Perspectives. Teaching and Teacher Education, 21, 219-225. Shulman, L. S. (1986). Those who understand: Knowledge growth in teaching. Educational Researcher, 15(2), 4-14. Zeichner, K. (2007). Accumulating knowledge across self-studies in teacher education. Journal of Teacher Education. 58(1), 36-46. The four authors of this paper have been working together in a collaborative self-study project (2009-2013), aimed at using this research perspective to deepen both teacher educators’ understanding and improvement of their practice of supporting student teachers during their internship. In this paper we look back at this intense and multi-layered endeavour and experience. Our roles in the project were different and complementary: Elien Peeters did the actual self-study on her practice (portfolio assignments) in a university college. Eline Vanassche & Geert Kelchtermans supported that process from their experience as academic researchers, in particular in terms of conceptual frameworks and methodology. Ann Deketelaere was also an experienced teacher educator, but with specific research experience in portfolio learning. She took on the role of the critical friend/editor during the writing up process of the self-study. Revisiting the project, from a distance in time, we argue that the self-study can be used as an exemplary case to demonstrate the professionalising role of the research process, as well as its potential in further theory development. We will focus on two issues: a) the necessary but complicated role of theory to (re)frame experiences and data (applying work on the agency of artifacts –see a.o. März et al., resubmitted); b) the multiple roles and voices of the different participants (all of them at the same time professional learners as well as professional actors) (see a.o. Vanassche & Kelchtermans, 2015). This way our paper contributes to a refined, grounded understanding of the professionalising potential of research –in particular supported self-study- for teacher educators. März, V., Kelchtermans, G., Vermeir, K. & Appeltans, A. (resubmitted after revision). Artifacts as actors in educational innovation. An explorative analysis of the case of data use in the transition from primary to secondary education. American Journal of Education. Vanassche, E. & Kelchtermans, G. (2015). Facilitating self-study of teacher education practices: toward a pedagogy of teacher educator professional development. Professional Development in Education, DOI: 10.1080/19415257.2014.986813. Initiatives have been taken in various countries to support teacher educators in studying their own practices (Vanassche & Kelchtermans, 2015). Studies into these initiatives offer insights into productive ways of supporting teacher educators as researchers of their own practice and also possible pitfalls in the process. This paper introduces a project conducted in The Netherlands with a small group of volunteer teacher educators, “Teacher educators study their own practices”. The project began in 2007 and was carried out twice. The project design built on Hoban’s (2007) framework for ‘Creating a Self-study Group’. The project was researched and the results were presented in the form of guidelines for supporting self-study research (Lunenberg, Korthagen, & Zwart, 2010). However, although these guidelines for supporting self-study research now exist, an important question remains: how can we use these guidelines and insights from other studies to further promote self-studies by teacher educators? The authors take up this issue and examine the barriers and opportunities to promoting and sustaining a self-study community of practice through a collaborative re-examination of the guidelines from their different perspectives of project participant, project facilitator, and ‘outsider’ self-study researcher/critical friend. Through collaborative study, we aimed to broaden our own learning about supporting the professional learning and development of teacher educators and contribute to knowledge about how to recognise opportunities and work towards removing obstacles for the growth of self-study research by teacher educators in The Netherlands and elsewhere. Hoban, G. (2007). Creating a self-study group. Paper presented at the Annual Meeting of the American Educational Research Association, Chicago, IL. April 9-13. Lunenberg, M.L., Korthagen, F. & Zwart, R.C. (2010).Critical issues in supporting self-study. Teaching and Teacher Education, 26(6), 1280-1289. Vanassche, E. & Kelchtermans, G. (2015). Facilitating self-study of teacher education practices: toward a pedagogy of teacher educator professional development, Professional Development in Education. DOI: 10.1080/19415257.2014.986813. A majority of studies have increasingly emphasized that a significant part of a teacher educators’ occupation - next to teaching teachers - is to conduct research (Lunenberg et al., 2014). Loughran (2014), for instance, describes teacher educators’ career as a ‘research journey’ (p.2). Taking into account this explicit focus on the development of teacher educators’ role as a researcher during their working lives, we present the development of a researcherly disposition as a promising concept to discuss teacher educators’ professional development. In particular, the aim of this paper is to (1) conceptualize teacher educators’ researcherly disposition and (2) to operationalize this conceptualisation into a measurable construct. First, and based on a theoretical framework, teacher educators’ researcherly disposition is defined as the habit of mind to engage in research which involves (1) an affective dimension, (2) a cognitive dimension and (3) a behavioural dimension (Tack & Vanderlinde, 2014). Second, this conceptualisation has been operationalized in a number of items in order to develop a reliable measurement instrument. Questionnaire data have been collected from a representative teacher educator sample (n = 800) occupied in Colleges of Higher Education and Centres for Adult Education in Belgium (Flanders). EFA, CFA and reliability analyses have been conducted on the data. Results of the EFA indicate a three-factor solution (with 18 items) that accounts for 52.9% of the variance. The first factor is ‘Conducting research as a teacher educator’, the second factor can be labelled as ‘Valuing research as a teacher educator’ and the third factor is ‘Being a smart consumer of research’. The constructed scales all have high reliabilities with Chronbach’s α of .88, .86 and .84, respectively. During the presentation, the results of these analyses will be related to background characteristics of the participants (for example, experience with research, gender, age). Loughran, J. (2014) Professionally developing as a teacher educator, Journal of Teacher Education, 65(4), 1–13. Lunenberg, M., Dengerink, J. and Korthagen, F. (2014) The Professional Teacher Educator: Professional Roles, Behaviour and Development of Teacher Educators (Rotterdam, Sense Publishers). Tack, H., & Vanderlinde, R. (2014). Teacher educators’ professional development: towards a typology of teacher educators' researcherly disposition. (S. Lawes, Ed.) British Journal of Educational Studies, 62(3), 297–315. A universal lack of attention to the professional learning needs of teacher educators is the driver for this study, which considers the most effective ways to support the professional learning of higher education-based teacher educators. At a time when many industrialised countries are engaged in systemic educational reform, this study provides an international and comparative needs analysis through a survey of 1,158 higher education-based teacher educators in the countries participating in the International Forum for Teacher Educator Development (InFo-TED): Belgium, Ireland, Israel, the Netherlands, Norway and the UK. Our results suggest that while teacher educators are only moderately satisfied with their professional development experiences, a strong desire exists for further professional learning. This desire, influenced by their professional context, relates to their current beliefs concerning ‘best practice’ in teacher education, the academic skills required to further their professional careers and knowledge of the curriculum associated with their fields of expertise.